The logic of Dermapen Application is based on akaPapur Method and its application becomes very fast, comfortable and painless. Thanks to the application of the products used with Dermapen, we can achieve more effective results than treatments such as PL and Chemical Peeling. Improves the tissue of collagen and restores health. In the areas of Sagging, Wrinkles, Smudges and Scar Residues. Hair alone can be inadequate in practice and supplemented with serum. It plays the most important role in the organization's repair mechanisms. When Dermapen is applied when the tissue is damaged, the tissue becomes active and provides many tissue-enhancing factors. The main effect is to quickly repair the tissue. HOW DO DERMAPEN APPLICATION IS? 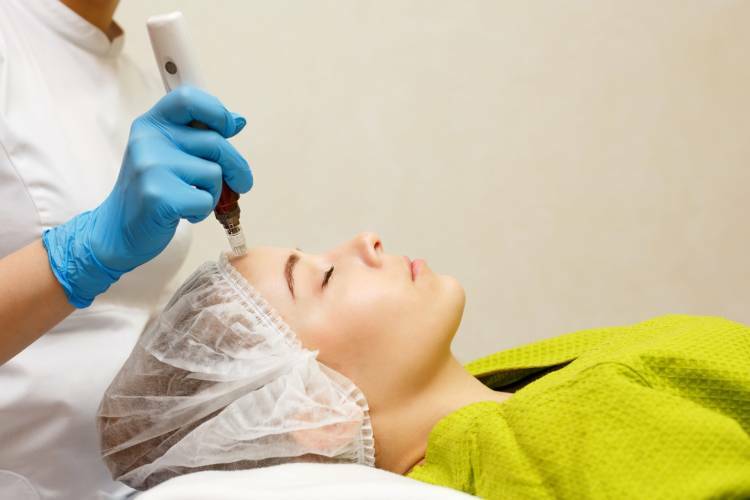 Dermapen Scalp, face, neck, hand, acne scars can be applied to acne and tissue loss and problem areas. All Maintenance is completed in about 1 hour. Tissue Regeneration and Development begin in the application area, tissue loss is repaired and they start to produce new tissue. The result for both men and women is very satisfying. WHAT ARE THE DERMAPEN'S ADVANTAGES? The healing process is very comfortable and short due to its content. It repairs the stains and defeats them. New collagen production, new vascular development is achieved. Growth factors and the restructuring of the intercellular environment eliminate tissue damage and create fresh tissue. Its application is easy and comfortable. Providing the necessary material is very easy. * THIS SYSTEM APPROVES FDA AND CE.